Peter Vaines qualified as a chartered accountant in 1972 and was a tax partner in a firm of accountants for 25 years. 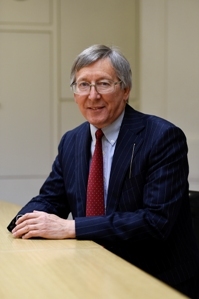 Mr Vaines was called to the Bar in 1989 but did not switch into legal practice until 2000 when he joined an international firm of solicitors where he was involved in a number of major tax cases. He writes and lectures on a wide variety of topics both in the UK and abroad and has been a member of the editorial board of Taxation and the Personal Tax Planning Review and is a long standing tax columnist for the Tax Journal and the New Law Journal. He has been recognised as a leading lawyer on private client tax matters by Chambers UK, PLC Which Lawyer, Best Lawyers in the UK and the Legal 500. Mr Vaines has been The Times Lawyer of the Week and in 2015 won the Tax Writer of the Year Award.